It had been a long held dream of Janet & Graham to run their own bed and breakfast. In preparation and to find out as much information as possible they signed up and attended a “How to Run a Bed and Breakfast” course run by Karen Thorne in Shropshire in the summer of 2017. Finding out what was involved was extremely helpful and spurred them onto fulfilling their dream. The course helped them to focus on the location and type of B&B they wanted to run. Following the course, they joined a Facebook group for course attendees and this gave them the opportunity to meet up with a couple who have run a B&B for a number of years near to Kingussie (the area they wanted to buy in). 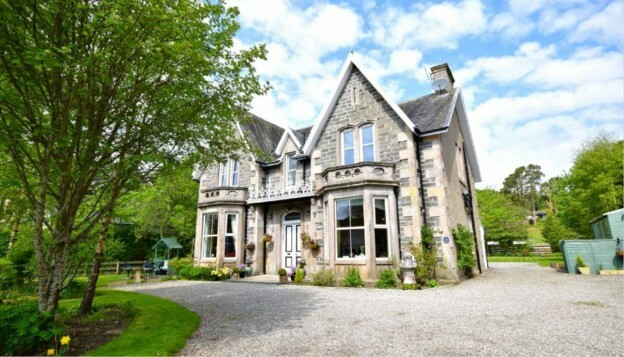 The property they decided to purchase was Arden House which is a lovely Highland villa style property in the attractive and popular town of Kingussie in the foothills of the Cairngorms and Monadhliath Mountain ranges. The property has a total of 8 bedrooms; 5 en-suite letting rooms plus owner’s accommodation. Stewart Hindley & Partners wrote and submitted a comprehensive loan proposal to two lenders who showed interest in funding the property. The property had been successfully traded for a number of years and even though the owners wanted to retire and move closer to family they were still trading as much as possible providing a good level of turnover and profit for the business. This really helps to show sustainable trade and if/where there may be opportunities to improve the trade going forward. The chosen lender was not always the quickest to respond so the case did take a little longer than hoped for but as with most things the best things are worth waiting for! Janet and Graham have now completed on the purchase and moved into Arden House on 8 March 2018. We tried initially to secure a business mortgage for Arden House ourselves but this was unsuccessful. Not to be deterred, we recalled how on Karen’s course she had recommended going with a broker and had suggested Steward Hindley. Following an initial email, Mike, our broker helped us to revise our business plan and put us in touch with potential lenders. As we were new to the whole process of purchasing a B&B, the help and support given by Mike was invaluable and we managed to secure funding. We believe that without Stewart Hindley we would never have secured the funding we needed and can’t thank Mike enough. It still feels unreal that we now actually own Arden House and have given up the 9-5.